I finally remembered to paint my nails with one of the prompt themes for the 26 Great Nail Art Ideas Challenge, before I saw other participants nails and though, oh that's right that was a cool theme that I wanted to participate in. The prompt this fortnight is neon and black, which in my opinion is one of the best combos every. Sadly it's also one of the most difficult combos to photograph ever too. You wouldn't believe it, but I did in fact use three neon shades for that gradient. In real life the middle neon orange shade is so bright, but in these photos it just looks like a little bit of pink and lots of yellow. I pulled out a bunch of older Orly neon shades for this, they really have some good ones and it was nice to grab something I hadn't worn in ages. I used a new stamping plate too. 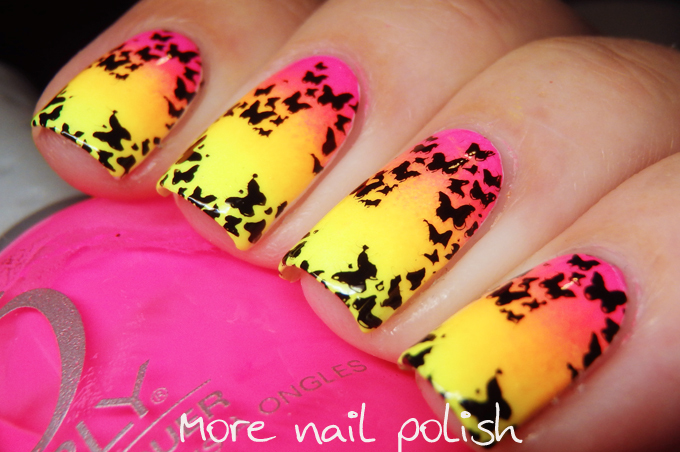 This butterfly image is from Kelly Negri Plate KN28, which I got from DRK nails. Their store is closed at the moment, but I'll leave the link here as it will work when they open up again. I love this image on the plate, with all the small butterflies leaving the negative space of the larger butterfly. 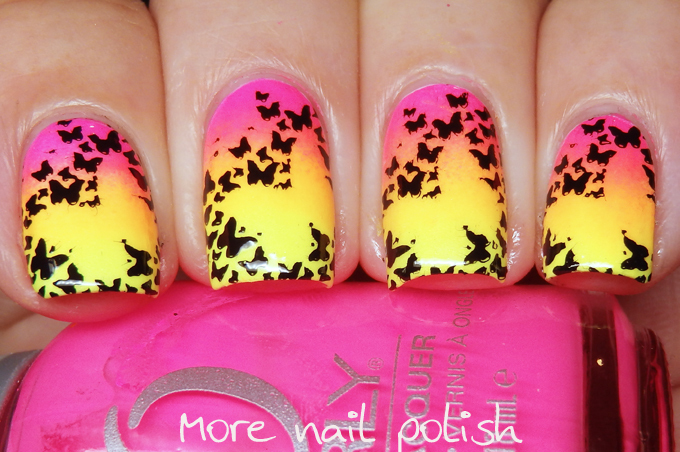 Absolutely love that mani! That stamping is perfect for it! 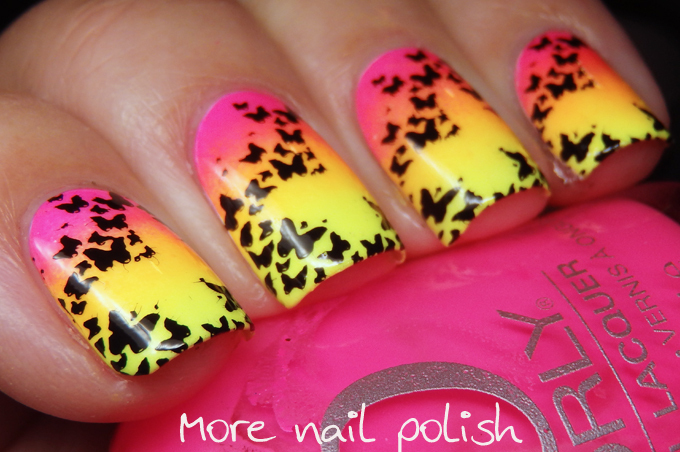 It is warming up where I live and I am starting to want something brighter on the nails. Btw, could you list exactly which Orly polishes those are? I would like to Pin the mani (giving full credit / routing) and I like to list the polishes used.